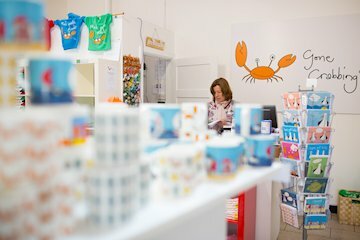 A visit to Gone Crabbing is a must this year - our store is full of fun and bursting with colour. 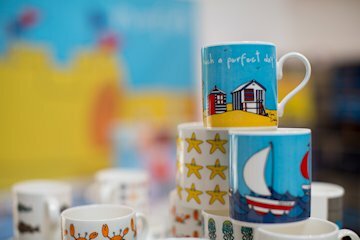 We offer a totally unique range of clothing and gifts inspired by all that is great about the Great British Seaside. 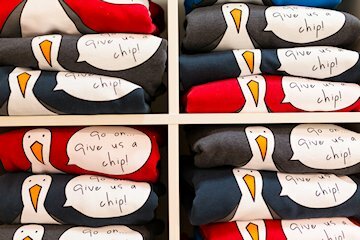 We have top quality t-shirts and hoodies featuring the very famous Colin the Crab in all his bright orange glory - his starring role is ably supported by his very many seaside friends including Steve the Seagull and Mike the Mussel. These cheeky characters feature across our giftware too including tea towels, aprons, bone china mugs, postcards, badges, towels, fridge magnets, coasters and placemats and luxury, wrapped soaps plus lots more. Colin has launched his very own pop-up book ideal for those bedtime reads. Dont miss our extended range of great beach toys including Aerobie and Waboba balls. Plus all that is needed for a great day out at the beach and all the kit you need for a successful day�s crabbing. Gone Crabbing promises to bring a smile. The shop is open all year round. 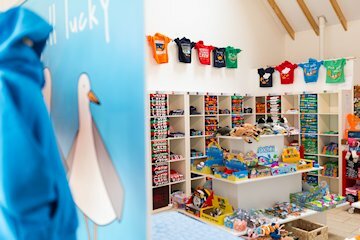 We are open in the summer from 10am to 5pm every day of the week except Sundays when we close at 4pm. We close for Christmas Day, Boxing Day and New Year�s Day. In January/February we are open 7 days a week but close a little earlier at 4pm. We would love to see you so do pop in! Children�s T-shirts start at �9.99 and adult hoodies are �37.99 � crab themed pocket money gifts (pencils, badges & erasers) start at just �1.